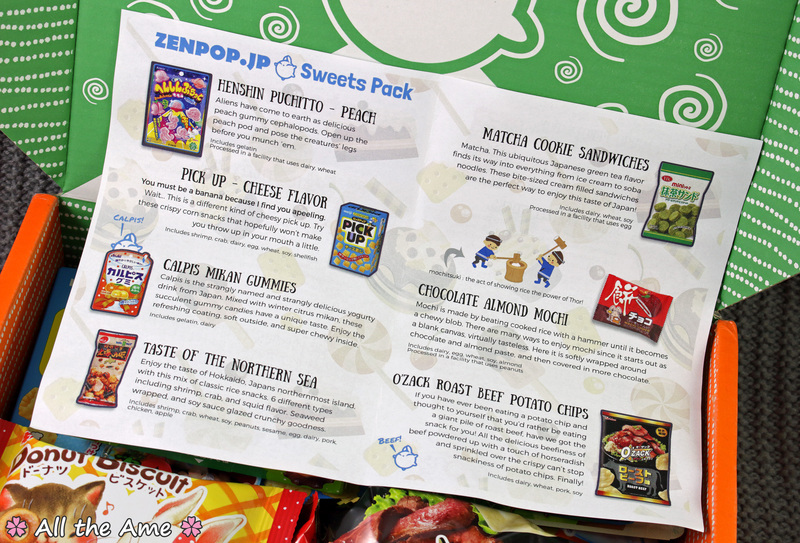 Today I’m super excited to tell all of you about a new Japanese snack box, ZenPop! 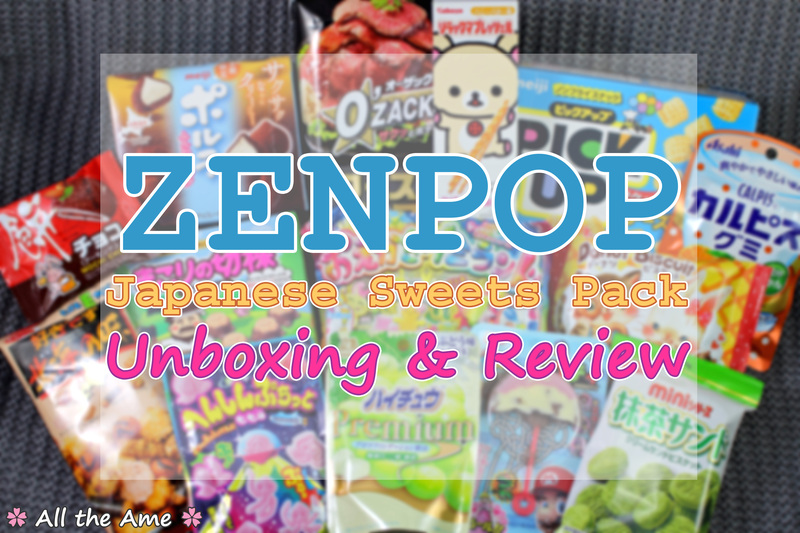 ZenPop are a relatively new service who have a slightly different set up; rather than your standard ongoing monthly subscription box where you sign up and pay each month, with ZenPop you buy a one off mystery box whenever you want to. The contents are set and change once a month, once the description is updated you can have a look at the hints about what’s inside and chose if you want to buy again or wait for another month. There’s no commitment and, best of all, you get your box faster as you don’t have to wait for a set monthly shipping date for your box to ship; your box will ship when you buy it. The ability to jump in and buy a box whenever I want to with no monthly subscription to worry about was what made ZenPop catch my eye, I really can’t afford a third subscription box every month so for me, being able to buy one off boxes whenever I have a little extra money is a great alternative. Quite the variety, eh? Shipping is free worldwide with all packs so there are no hidden fees. The site estimates 2-3 weeks for delivery once your box is shipped, this box got here in under 3 weeks even with the super stormy weather we were having so I would say that’s accurate (and fast!). The items are packed nice and securely, nothing really had room to move around during transit. Good packing is important, we all want our snacks to arrive safe and sound don’t we? Top marks for colourful and protective packaging! 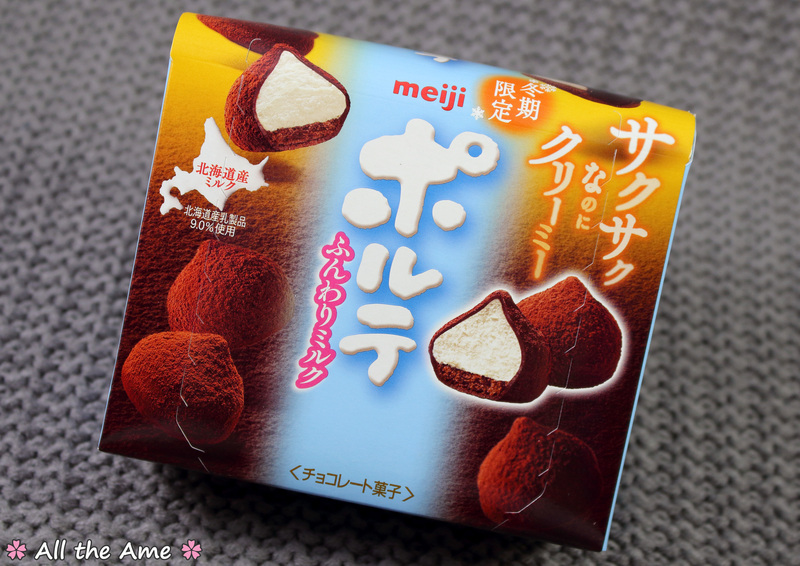 First up is a seasonal item from Meiji, a good start! 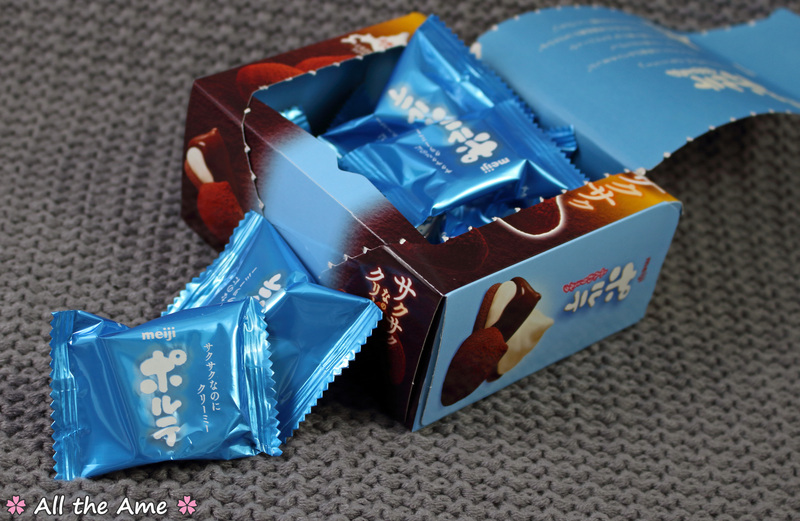 These chocolates feature a biscuit base and a whipped filling made with Hokkaido milk. Honestly, when something says ‘Hokkaido milk’ I’m pretty much guaranteed to love it, so I was very excited to see these! It’s ok though, they may look pretty messed up but they’re still perfectly edible. 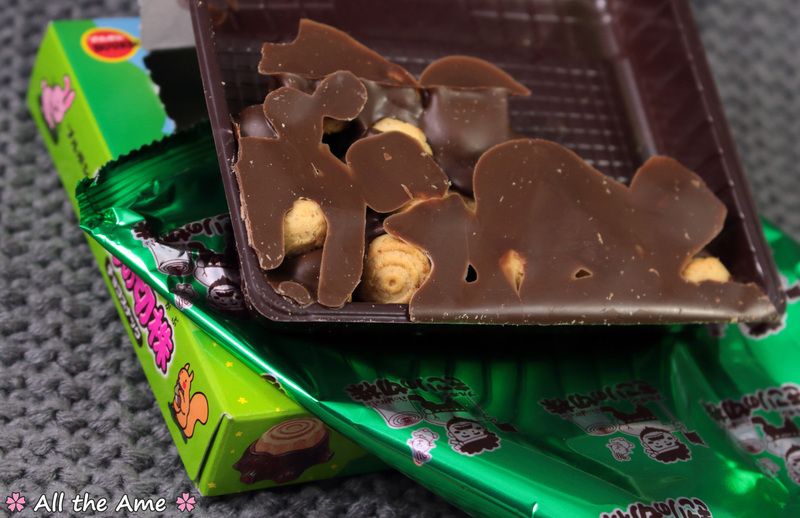 Melting is pretty much impossible to avoid indefinitely when shipping chocolate overseas, if you don’t mind the strange appearance your snacks take on it’s not really a problem. I’m surprised it’s taken this long for one of my boxes to be affected to be honest! This one wasn’t quite so melted, you can see the inner aerated chocolate texture on top of the biscuit base. Taste wise these chocolates had the delicious, rich and creamy milk flavour I hoped they would. The chocolate is high quality and offsets the sweetness of the filling nicely, while the biscuit adds a more substantial texture. 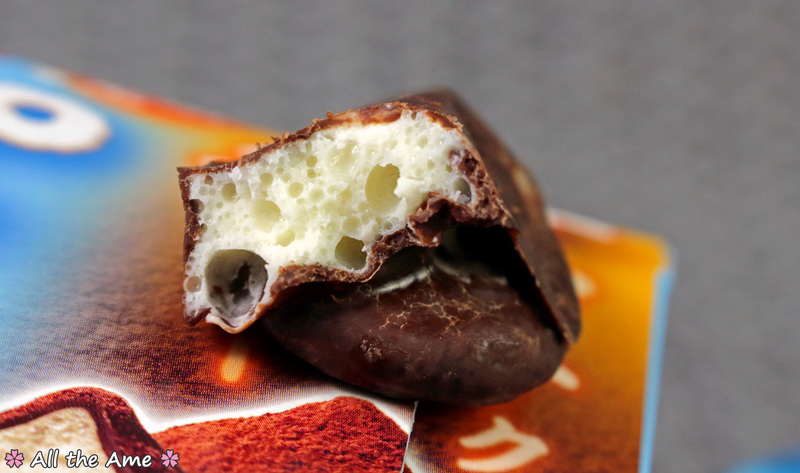 Even when melted, these chocolates are absolutely delicious. Think Meltykiss with biscuit and whipped milky filling and you’ve got an idea of how awesome these things are. These get a 10/10 for flavour, even if they didn’t travel well. So really, we got one giant biscuit. A wood pile? A bonfire? I don’t know, what DO you call a bunch of tree stumps when you put them together? In any case, like the Porte the melting only affected the look of these treats and not the taste. They’re every bit as yummy as usual (trust me, I’ve had them unmelted enough to know melting changed nothing in that regard), with a slightly salty thick biscuit stump and a great quality chocolate topping. The biscuit is quite similar to a UK digestive biscuit in both taste and texture, only much much thicker. These are incredibly moreish, it’s easy to eat the whole pack at once (well, it IS only one biscuit in this case right? I’m going to pretend it counts as one ^_~). Another 10/10, these are a firm favourite for me. Ah, another of my favourites! 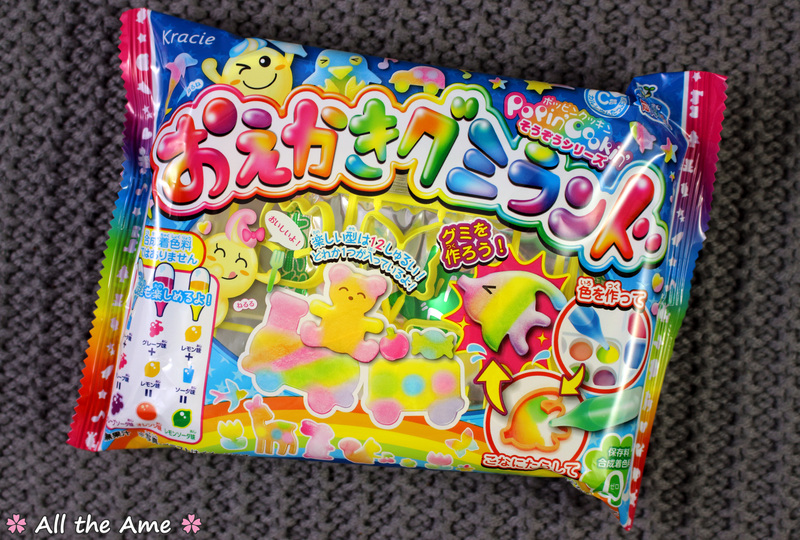 These premium candies only come round once a year, and every year I scramble to buy some because they are just so good! Unlike regular Hi-Chew, these ones are round and are not individually sealed. 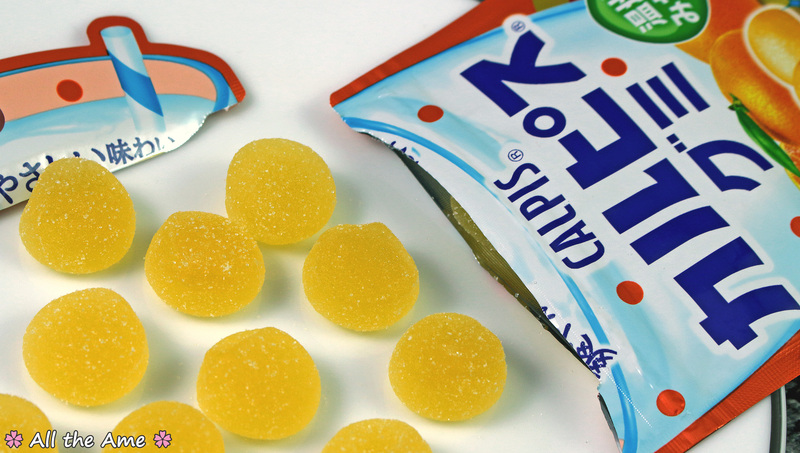 The packet is resealable, if you can resist eating them all in one go that is! 10/10 for these, I just love this annual white grape treat! Puchitto is a strange candy that is often described as being a gummy, but are more like fondant. They’re a bit like Dolly Mixtures only more… chewy? And much more flavourful. 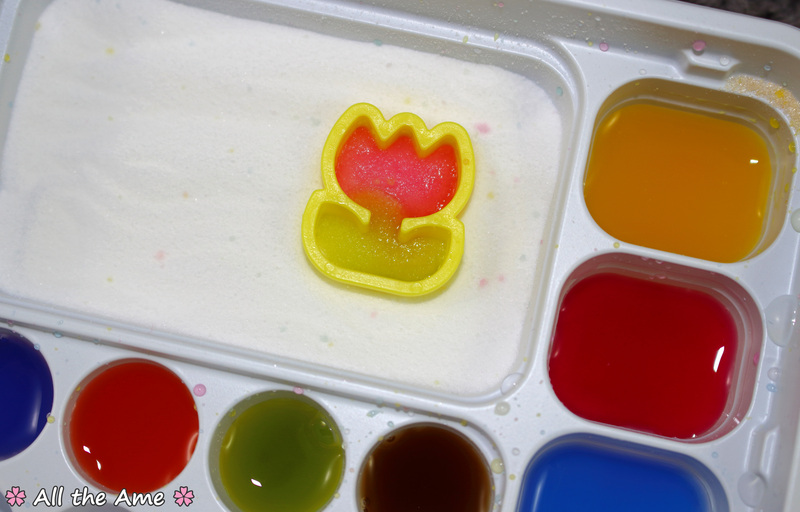 Like if you crossed a piece of fondant and a gummy. Yeah, they’re hard to describe. 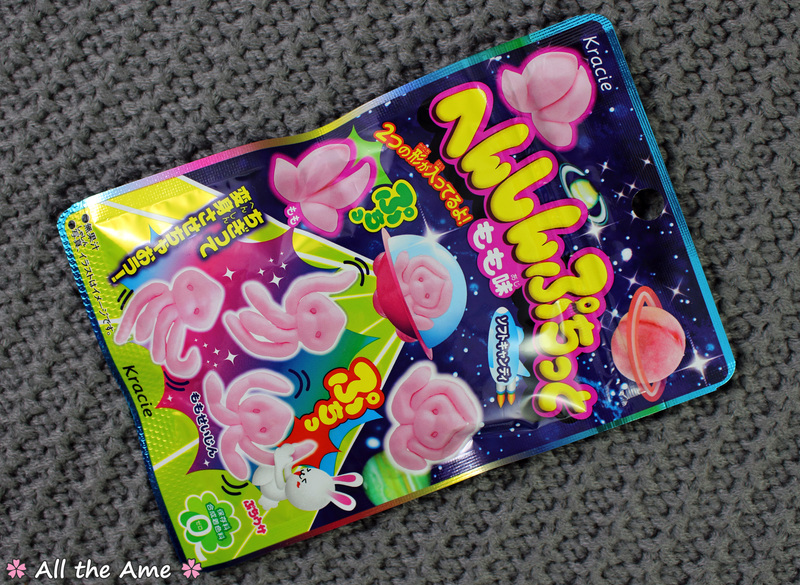 But the soda flavoured ones are one of my favourite treats, so I was excited to try this alien themed peach flavour too! Look at those adorable little tentacle monsters! These are designed to be played with before you eat them, you can pull them apart and wave their little tentacles around and such. I just skip to eating them to be honest, or else they start to get sticky! 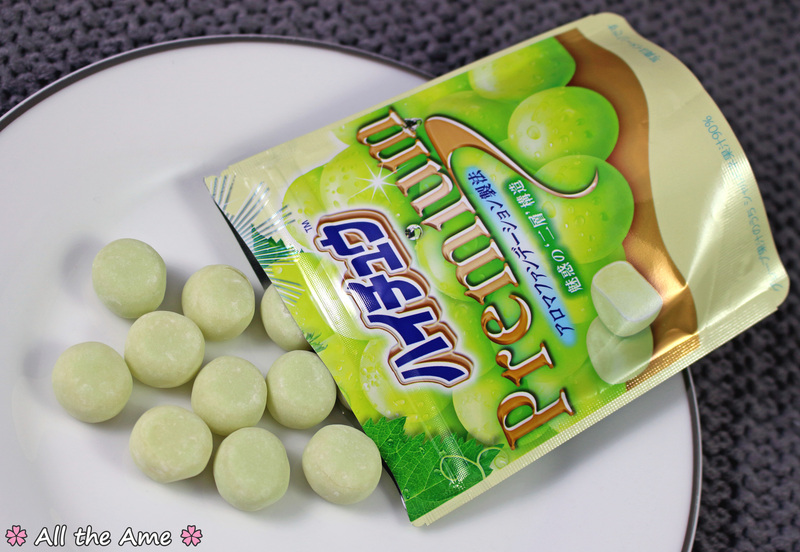 The peach flavour is great, more realistic than artificial but very sweet. The firm, chewy texture is incredibly moreish, although again the packet is resealable if you want to save some for later. 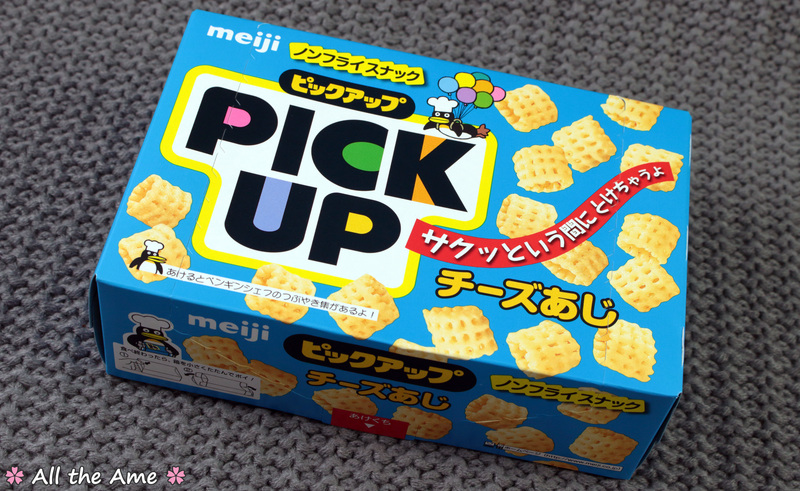 After all that sweet candy and chocolate goodness a savoury item is a welcome change, even if Japanese cheese snacks tend to be a little on the sweet side! 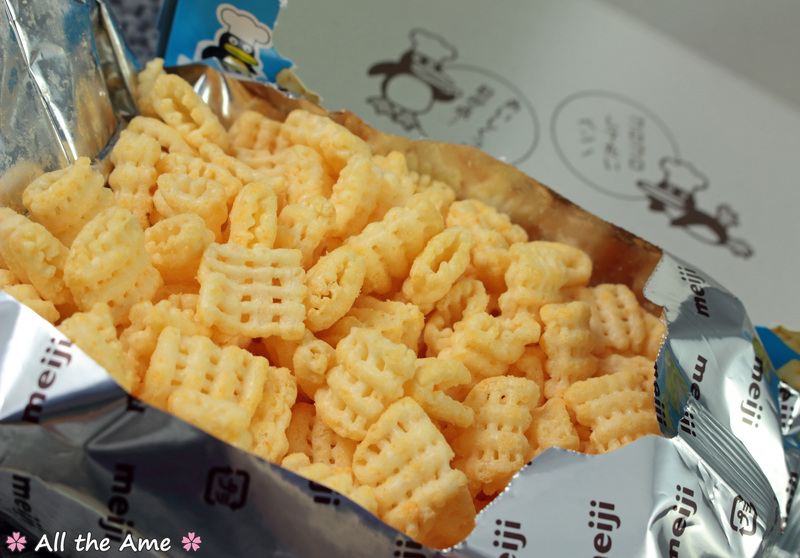 It may not be apparent but this box is really big, and absolutely packed with teeny tiny waffle shaped corn snacks. Seriously, these are so tiny! The box lasted me ages as there were just so many crammed in. I did try one though, because let’s be honest I’ve tried snacks that smell worse (and I’m sure I’ll try worse still). 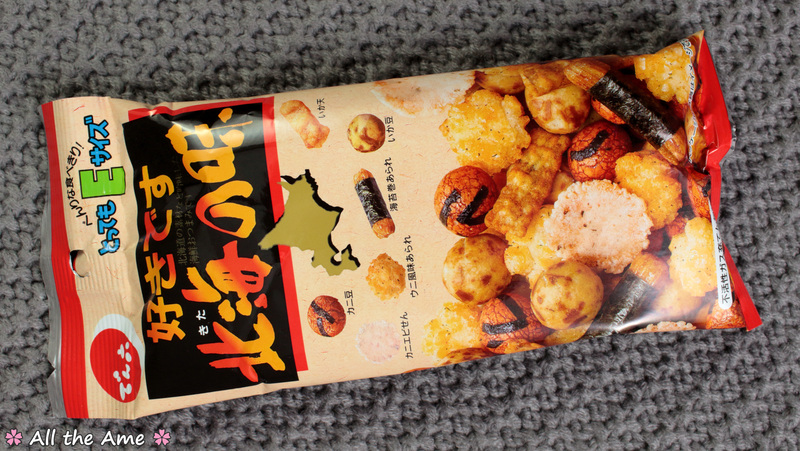 They actually taste great, they do have a slight shellfish undertone (like a prawn cocktail flavour crisp) but mostly they just have the delicious, sweet cheese flavour I love from Japanese corn snacks. They have a super light and airy texture too, they melt in your mouth. I’d give these a 9/10. They’re surprisingly good considering the smell, but they certainly smell bad enough to lose a point from me. Still better than a cheesy pick up line! Calpis (also known as Calpico) is a strange yet wonderful milk based uncarbonated soft drink, now it comes in gummy form too! 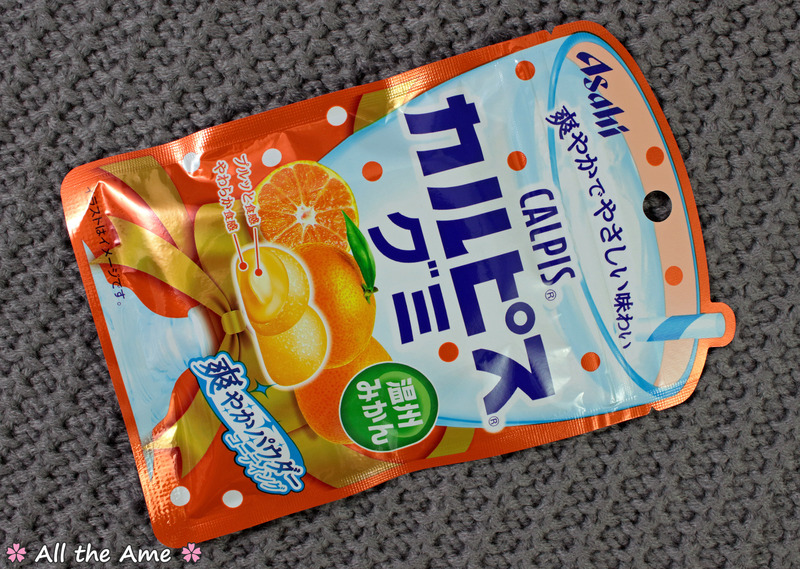 These Calpis gummies seem to be pretty popular at the moment, we’ve received them in all our recent subscription boxes. 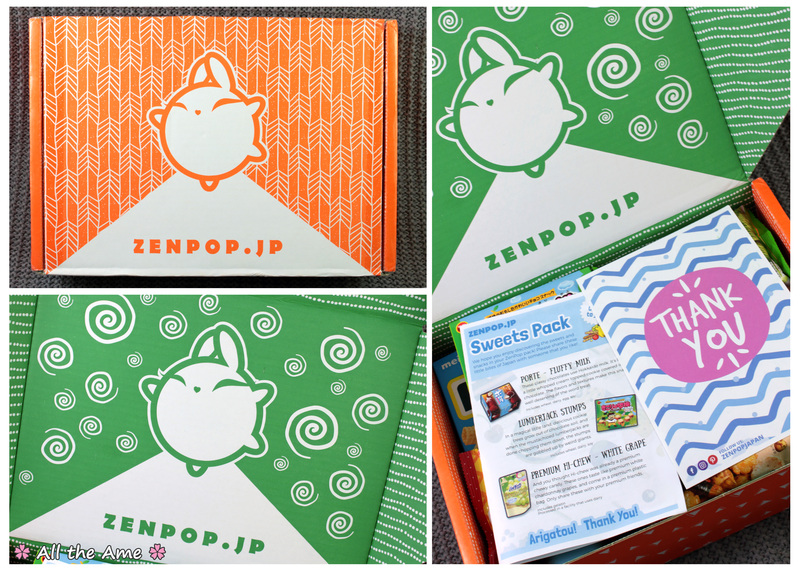 Luckily each box picked a different flavour, ZenPop included this mikan orange flavour. 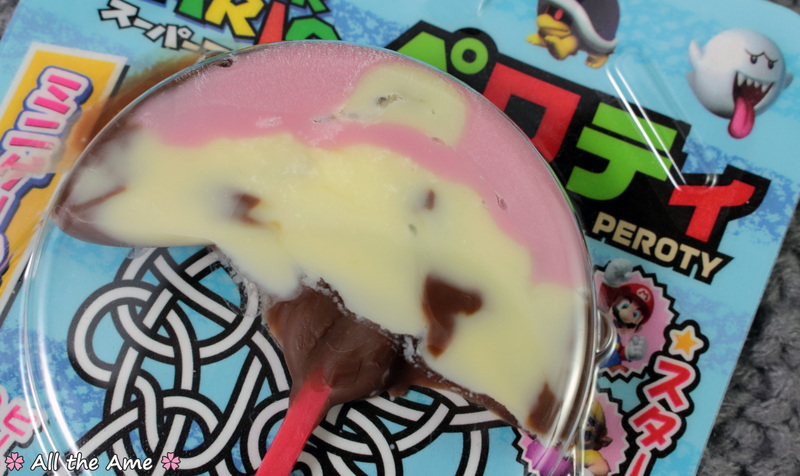 The gummies are made up of a tougher, chewier outer layer and a soft Calpis center with a tangy sugar coating. The sweet yoghurty flavour of the Calpis somewhat dominates the orange, though the slight bitterness of the orange balances this nicely. Calpis is a bit of a strange flavour, but I really like it and actually find it’s a lot less strange in gummy form than it is in drink form. They’re quite refreshing for a gummy snack too! Taste of the Northern Sea, what a poetic name! 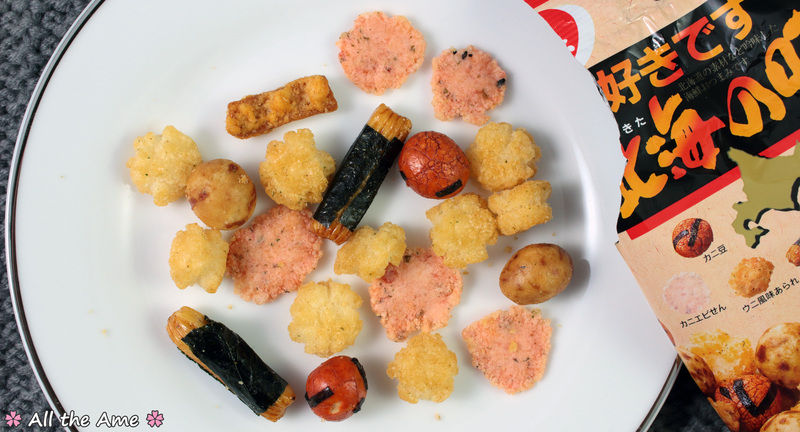 These classic rice snacks let you enjoy the taste of Hokkaido with a variety of sea food flavours. Honestly, I couldn’t quite figure out what flavour each one is supposed to be. I tried running the names through Google translate but they made no sense! Oh well. The leaflet tells me there are 6 different types including shrimp, crab, squid and soy glazed. I’m not experienced enough with seafood snacks to be able to tell which is which, although it’s fun guessing! The long seaweed wrapped ones were my favourite, they have a slightly sweet soy glaze that pairs wonderfully with the salty seaweed. There’s a spicy kick to them too, I think they have wasabi under the seaweed? They’re delicious anyway, I could eat a whole bag of those ones! The two ball shaped ones are crunchy coated peanuts, they’re yummy too. 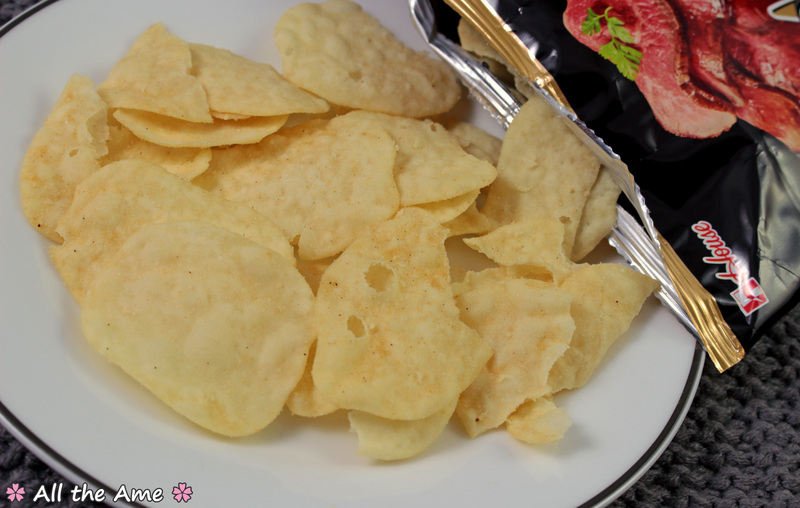 The longer, bubbly looking strip shaped ones are super crunchy and more savoury than the others, while the yellow toned rice crackers are a bit softer and incredibly moreish. 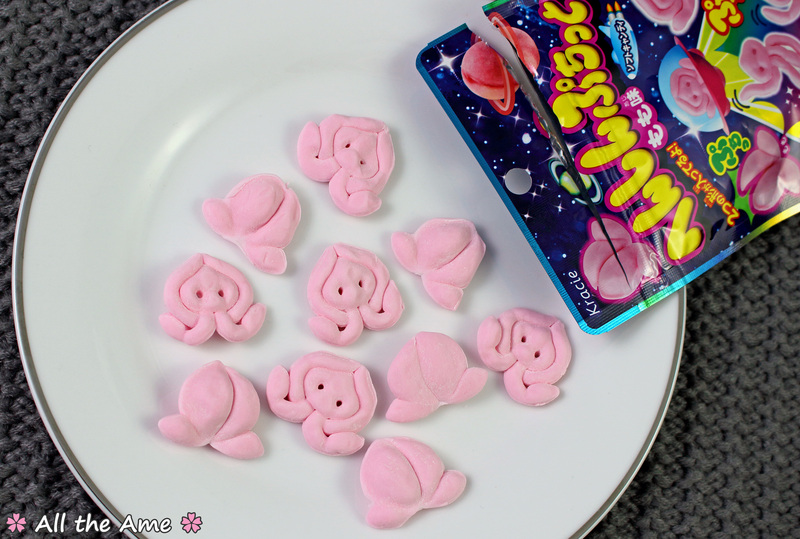 The pink ones I wasn’t too sure about, they’re even softer than the rest and smell a bit like dead fish, but then when you try them they’re super sweet and taste a bit like a prawn cracker. I’m guessing those are the shrimp ones. Not sure! All in all this was a great mix, lots of different textures to munch through and a delicious mix of salty, sweet and savoury flavours. They’d make a perfect accompaniment to a nice cold beer. I love when savoury snacks like this one are included, it’s great to have something other than crisps, sweets or chocolate included. Much more interesting! I’d give this mix a 10/10. A Japanese snack box isn’t complete without some matcha, these bitesize cookies fit the bill of being adorable and delicious! 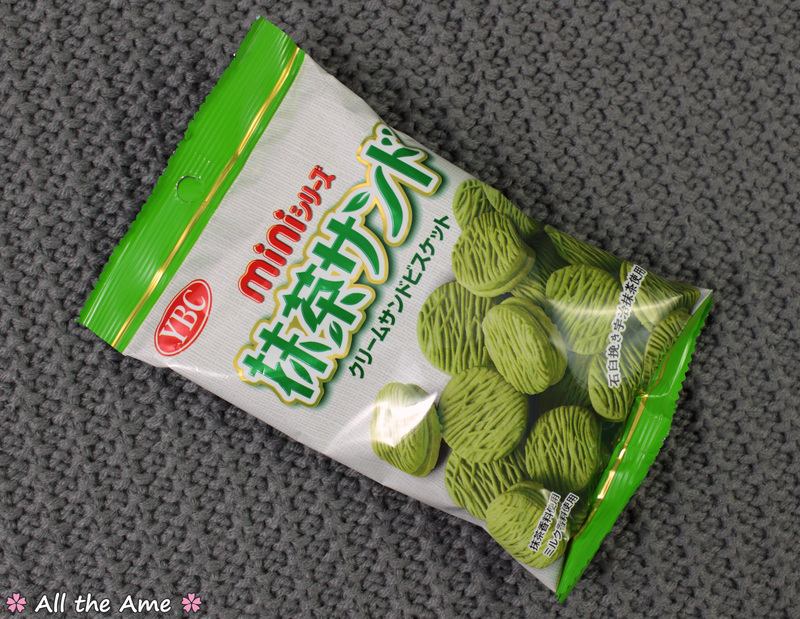 The matcha flavour is great, it’s strong without being overpowering and is neither too sweet nor too bitter. The biscuits have a lovely light texture, more like a rusk than a biscuit, and the cream is pure melt in the mouth matcha heaven. There are lots of cookies in the pack too, this pack lasted me ages. 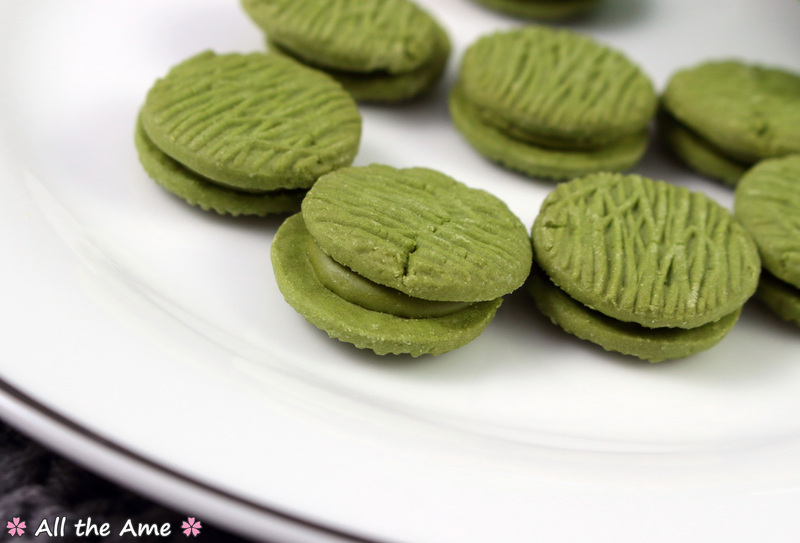 A light and delicious matcha snack, even better with a nice cup of tea! Another 10/10 from me, matcha lovers will adore these! This one features a chocolate coating and a chocolate/almond filling, yum! 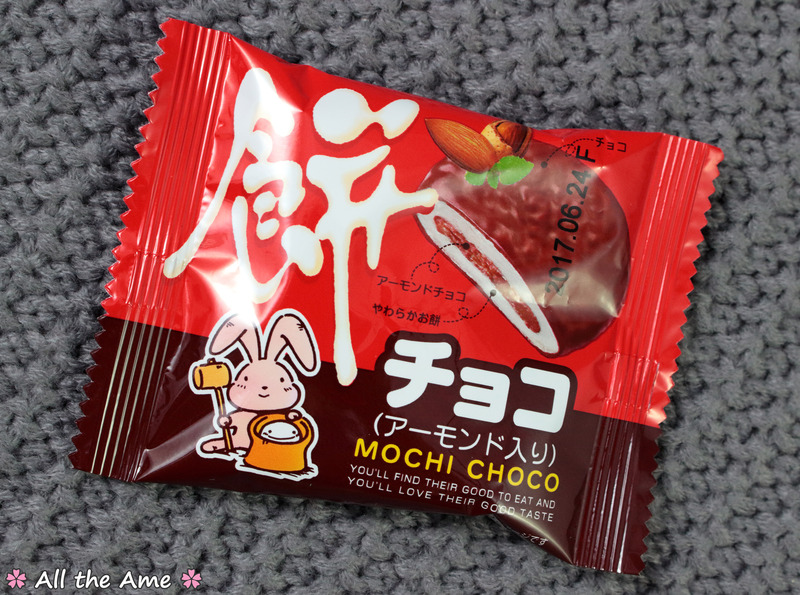 Here you can see the mochi itself and the filling. 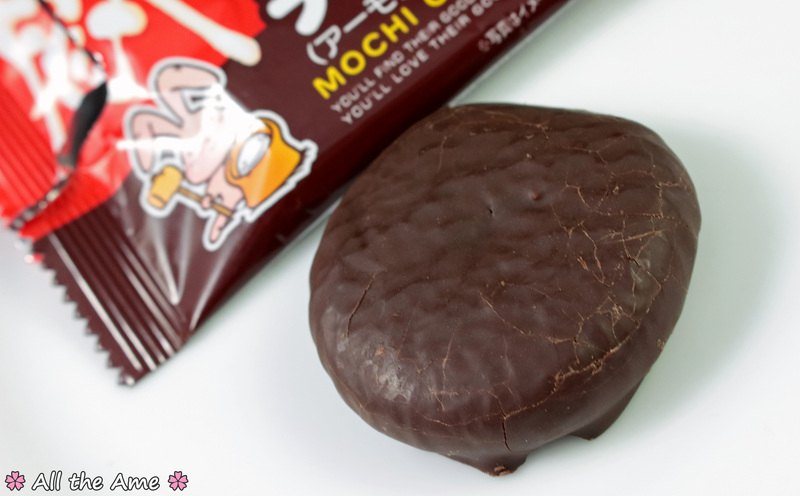 The mochi has a great tough and chewy texture while the filling is super soft, slightly crumbly and full of choco almond flavour. The almond is quite subtle and blends really well with the chocolate, it’s delicious. 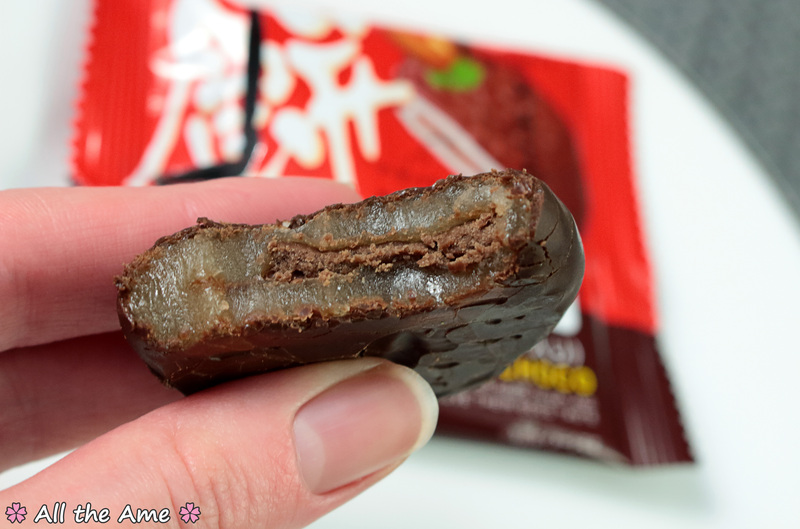 The outer chocolate is crisp and slightly more bitter than the super sweet filling, which adds a nice balance. I’d give this one a 10/10, great flavour and great chewy texture. 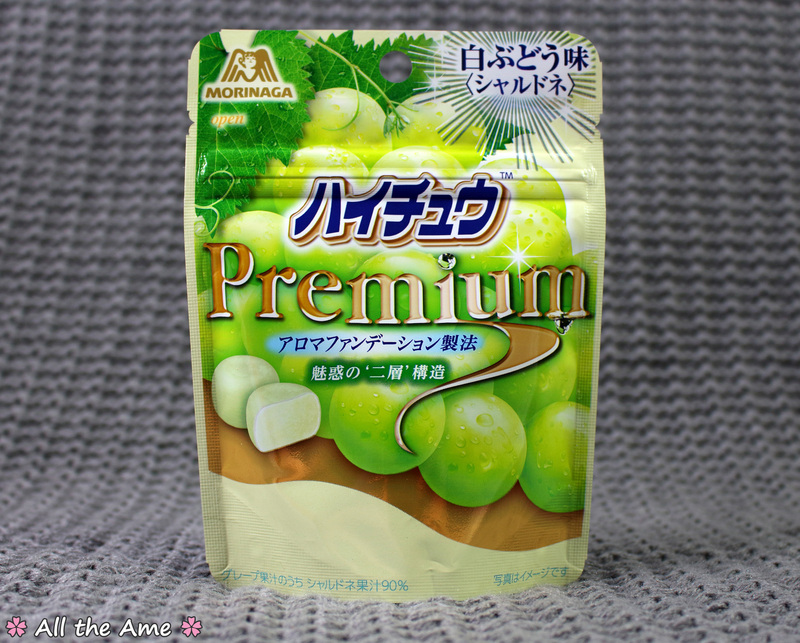 I hope more mochi is included in the future! Crisps are my weakness, so I always appreciate them being included in snack boxes. 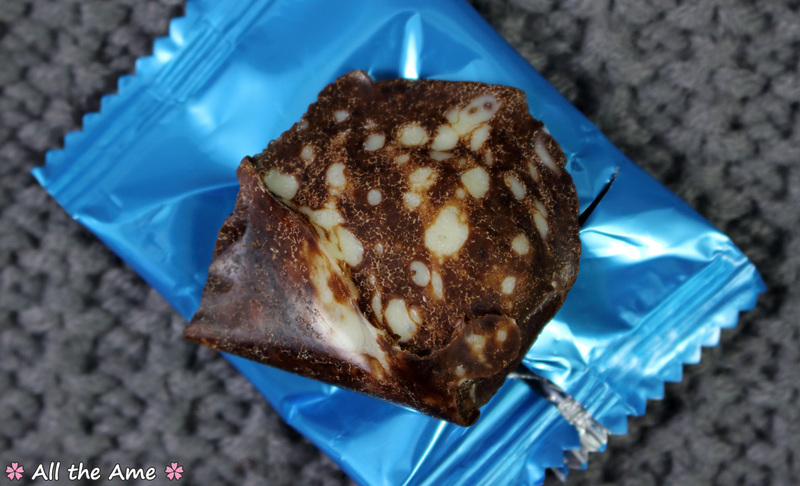 ZenPop have included this beef and horseradish flavour, a wonderful combination in my opinion! 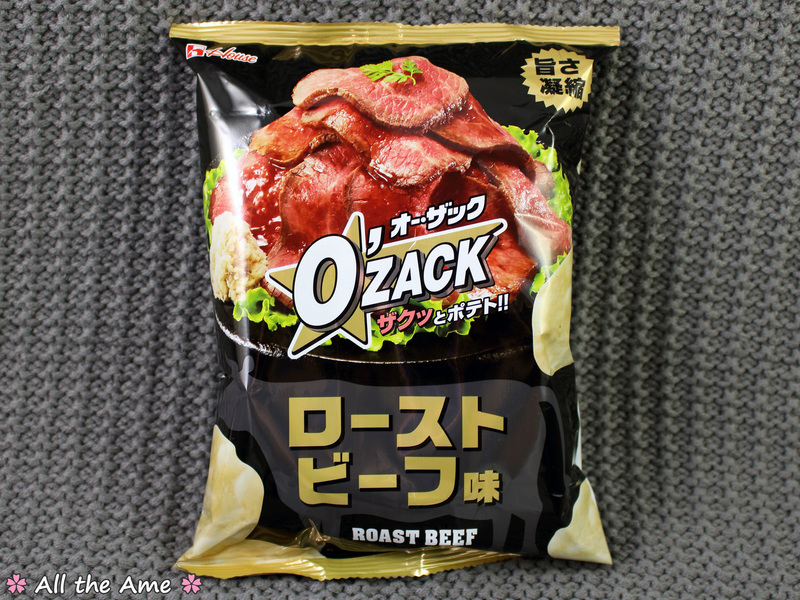 The crisps are quite thick and super crunchy, and while they may not look heavily seasoned the beef/horseradish flavour is very strong. The horseradish adds both a mild spicy kick and a lovely sweetness, a perfect compliment to the savoury beef. These are super addictive! Yet another 10/10 from me, these are simply delicious! We may have lost the detailing, but the chocolate is still delicious. I like the pink strawberry part best, it’s not too sweet and has a great mild strawberry flavour. Is it really fair for me to give something this melted a rating? Hm. 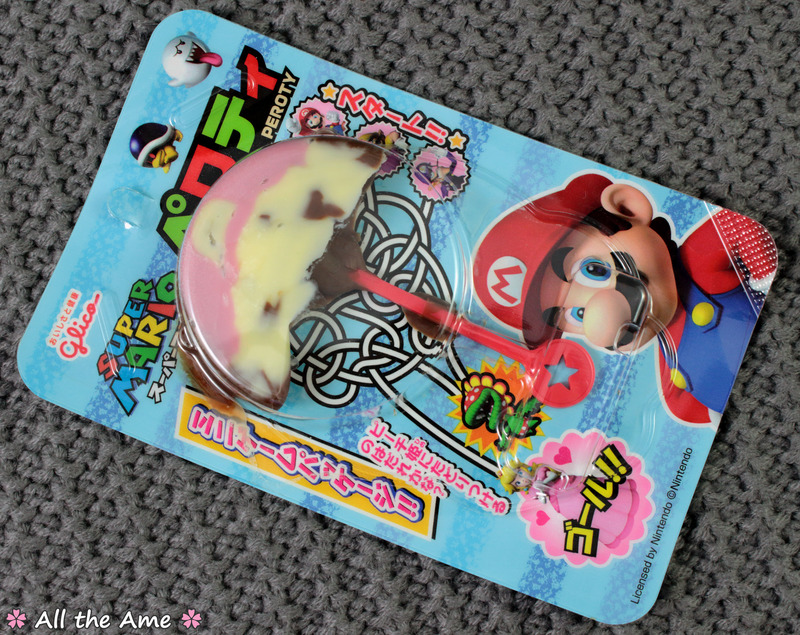 Well, my son would give it a 10/10 because it’s chocolate and it’s Mario, both of which are things he loves! He found this melted one very amusing too, it’s always good to have a giggle when enjoying snacks! 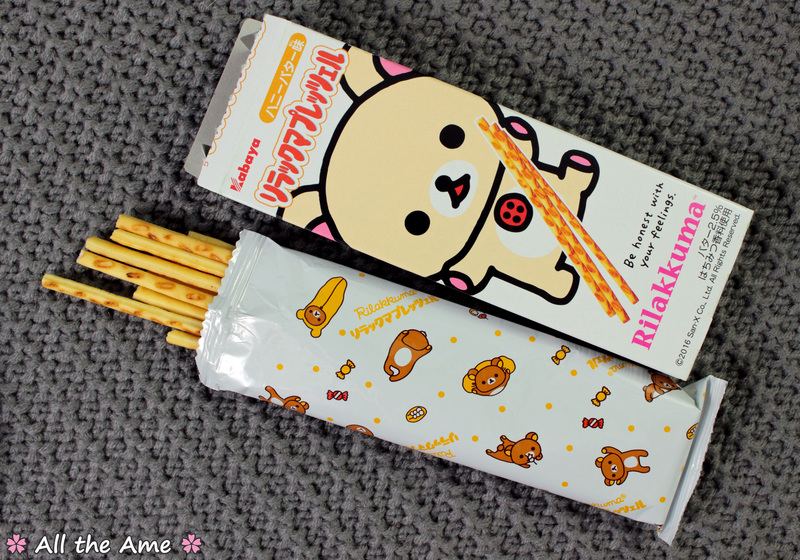 There were two possibilities with this item, you could receive either a box of Hello Kitty strawberry pretzels or a box of Rilakkuma honey butter pretzels. 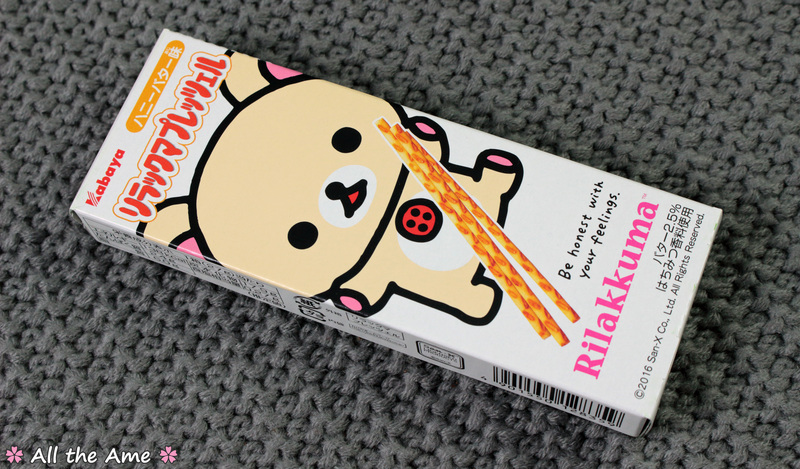 As you can see this box contained the Rilakkuma variety, which I was very happy about as honey butter is a much more exciting (or at least harder to find) flavour than strawberry. The pretzels are pretty good, though the honey taste is a little sharp and artificial. It’s quite a strong flavour but it works well with the butter flavour to make a tasty salty sweet snack. I’m not sure I’d get these again, they’re not exactly bad they’re just not the best pretzel snack I’ve had. I’d give these an 8/10, the presentation is simply adorable and the pretzels themselves are lovely and crisp, the flavouring was just a bit harsh and artificial for me. 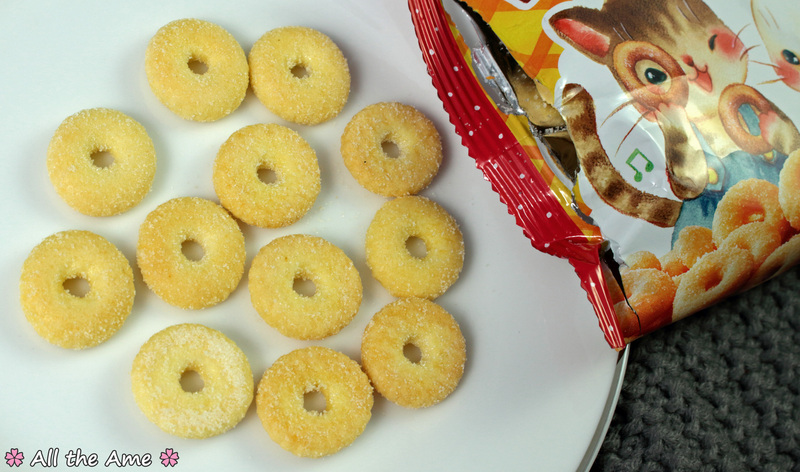 The strangest thing about these little biscuits is that they actually taste like donuts! I figured these would just be vanilla flavoured biscuits, but no. It really does seem like you’re eating a donut, cake, sugar, oil and all. It’s confusing but it’s awesome! 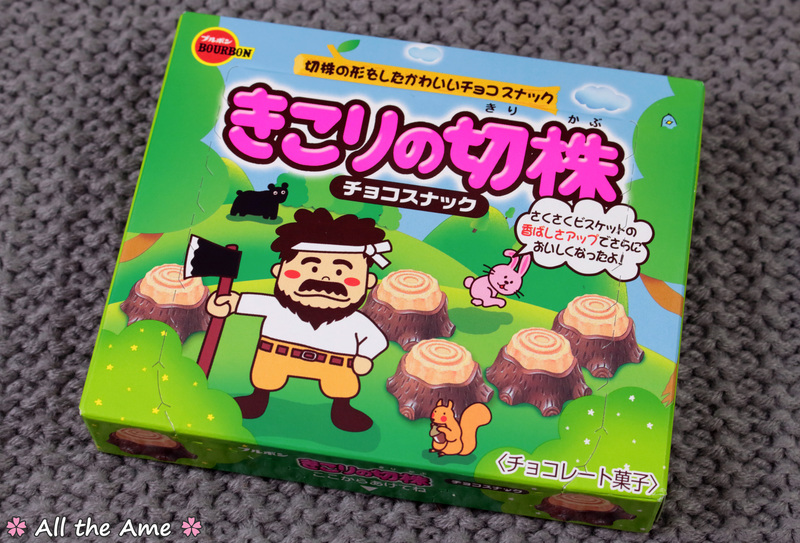 This is the kind of snack I love from Japan, the ones that surprise you by really tasting like the thing they’re supposed to be rather than what they actually are. They are a little sickly sweet, but that’s easily solved when you’re sharing with two other people like I usually do. 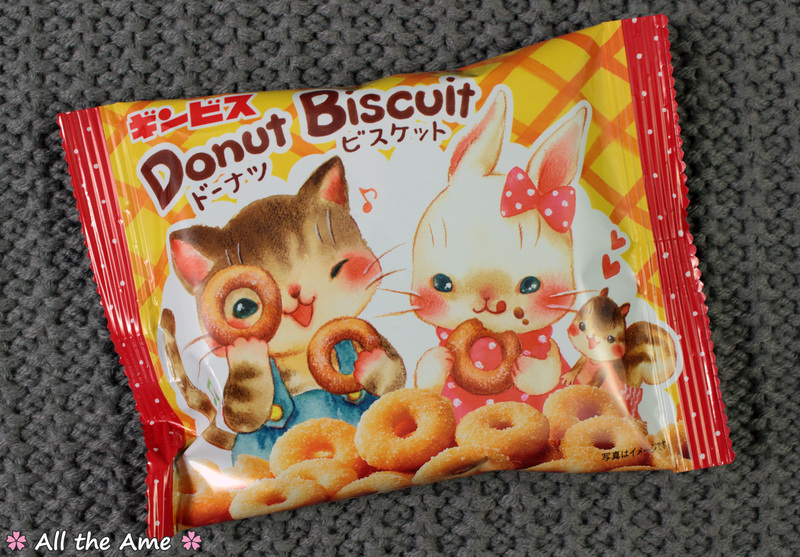 I’d give these a 10/10 for their surprisingly genuine donut taste and the super cute packaging. 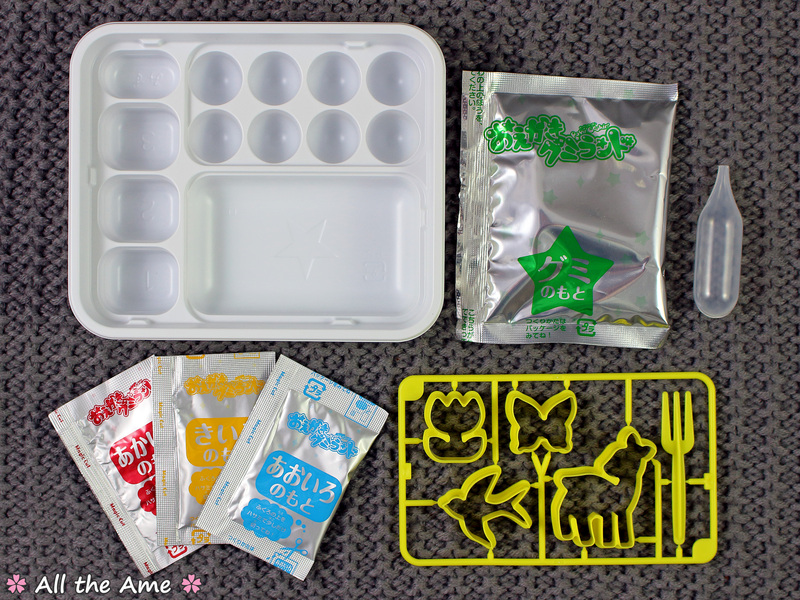 This kit is made up of a mixing tray, 4 sachets of powder, a water pipette and a tray of plastic cookie cutter type molds to shape your gummies. There’s even a little plastic fork! The process is surprisingly simple for a Kracie DIY kit; the red, yellow and blue sachets are mixed with water to provide colourful flavoured liquids (grape, lemon and soda) while the green sachet is poured into the large rectangle section with no water added. The coloured liquids can be mixed together to provide other colours/flavours, there are 8 circles for you to do this in so you can go a little wild with colour/flavour combinations. You then use the fork to rake the powder in the tray into an even layer (it’s like a sugary mini zen garden). Once that’s done you place your preferred mold onto the powder then simply drop whatever liquid you want to use inside the mold using the pipette. The liquid reacts with the powder and quickly turns into gummies, which you fish out using the fork. Et voila! Gummies! See, that wasn’t complicated, right? Except it’s a DIY candy kit, and DIY candy kits can never just be simple. The gummies go through a strange developmental process, eat them too soon and they are smooshy and prone to falling apart. But don’t leave them sitting too long either, as they never seem to stop getting firmer and end up with a tough leathery texture. You’ve got to get them when they’re just right. Oh, and the powder sticks to the base so you end up with a mouthful of that too, which happens to be sour! As with most DIY kits the fun is more in the making than the eating, they had a bit of a watery, generic flavour. Even the usually powerful grape flavour was quite subdued. 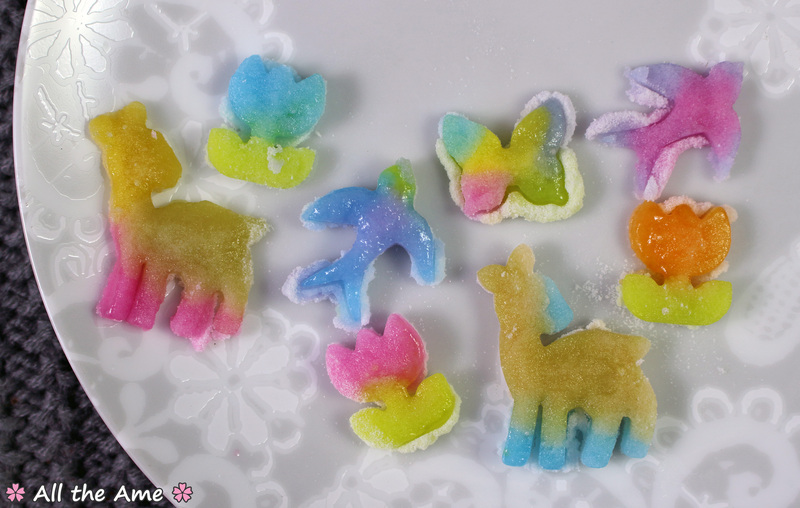 They aren’t the worst thing I’ve ever made and eaten with a DIY candy kit though, I suppose my standards for Japanese gummies are just very high (can you blame me?) and compared to the other gummies in this box, they aren’t exactly bursting with flavour. It’s hard to rate DIY kits…tastewise I wouldn’t really rate this that highly, but considering how fun and easy it is to do, the (surprising) lack of mess involved and the general level of creativity I’d rate this kit 8/10. Whew, that was a long post! Overall, I’d highly reccomend ZenPop’s service. 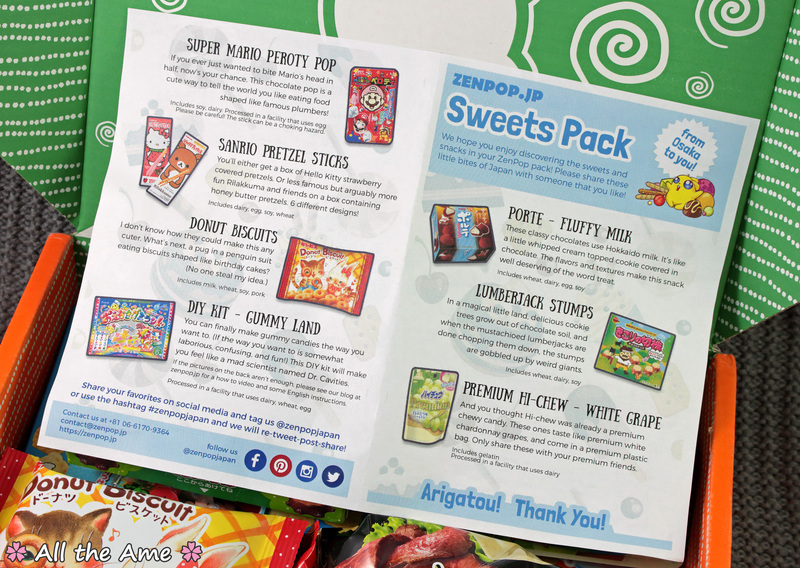 I love the one off purchase system, I may not have extra snack money that often but I’d definitely be inclined to buy a ZenPop box when I do. I think they’ve got a great balance between types of snacks as well as flavours in these boxes, I do love a good mix of sweet and savoury snacks. Their customer service can’t be beaten; they’re friendly, quick to respond and very easy to work with. They pack the products with care and ship them very quickly. Their English is perfect too, useful for someone like me who can’t communicate in Japanese! 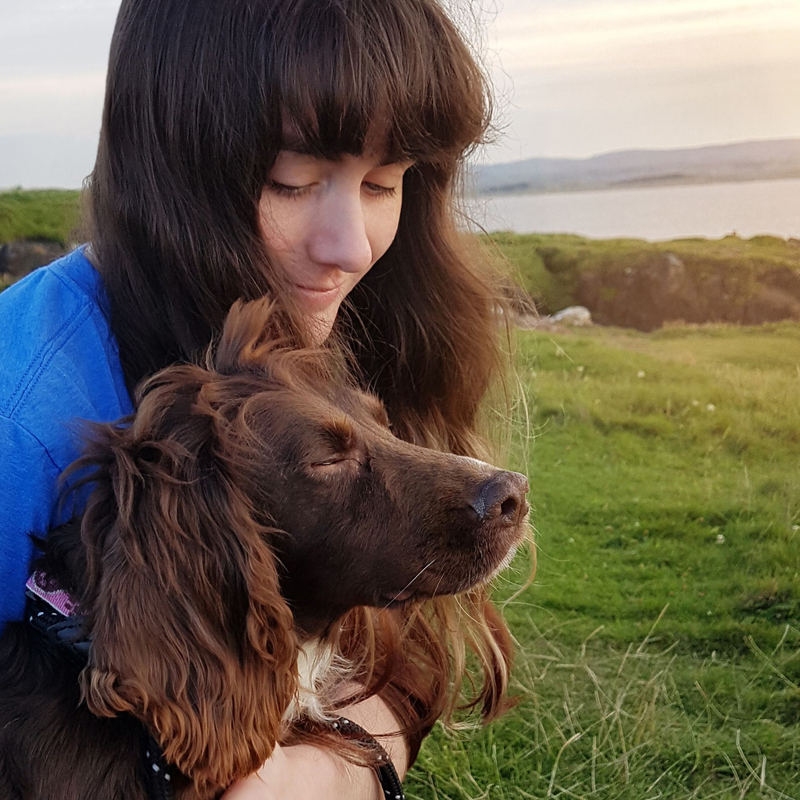 ZenPop also have an active and very interesting social media presence, unlike me they don’t just talk about snacks, haha. You should check them out! You can find them on Facebook, Twitter and Instagram. You can also see more examples of their past boxes (all types) on their blog here. oh no, another subscription box. i might have to try this one in the future, haha. Those matcha sandwich cookies look so good. I know if I got them they would be safe, because everyone in my family turns up their nose at matcha when I offer it to them, lol! I want to try this sometime!! So fun. I love all things Japan, and this would be amazing to try!! Thank you for dropping by to like my post. I have the zenpop beauty box and this is one of the range that I really want to try as well and your post has got me really tempted. Thank you for that! I shall try it one day.